Finally gathered under one cover are the scattered fragments and testimonies regarding Hermes Thrice Great that complete Copenhaver’s 1992 translation of the Hermetica. Contained within are the 29 fragments from Stobaeus (including the famous Kore Kosmou), the Oxford and Vienna fragments, an expanded selection of fragments from various authors (including Zosimus of Panopolis, Augustine, and Albert the Great), and testimonies about Hermes from 38 authors (including Cicero, Pseudo-Manetho, the Emperor Julian, Al-Kindī, Michael Psellus, the Emerald Tablet, and Nicholas of Cusa). All translations are accompanied by introductions and notes which cite sources for further reading. These Hermetic texts will appeal to a broad array of readers interested in western esotericism including scholars of Egyptology, the New Testament, the Classical World, Byzantium, medieval Islam, the Latin Middle Ages, and the Renaissance. This book is not just for scholars, but for any reader interested in western esoteric lore from antiquity to the Middle Ages. Those interested in ancient Egypt, philosophy, magic, astrology, medicine, theology, talismans, gems, amulets, divination, theosophy, and theurgy will profit from this work. Hermes Thrice Great had a truly global impact, making his home in Egyptian, Greek, Roman, Arabic, and medieval European traditions. How and why Hermes made such a great impression in the Renaissance can only be understood through the history of reception—Hellenic, Christian, and Muslim—traced in this book. 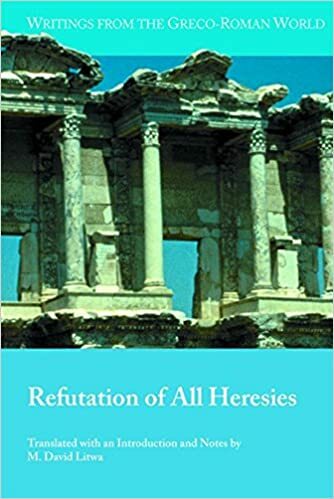 The Refutation of All Heresies (ca. 225 CE) is a treasure-trove of ancient philosophy, astrology, medicine, magic, Gnostic thought, numerology, heresiography, ecclesial politics, and early Christian studies in general. Offered here for the first time in almost a century is a full English translation, along with a newly-edited Greek text, extensive notes, and a thorough introduction. Description: This monograph argues for a version of deification in the thought of the Apostle Paul. I define Pauline deification as the reception of immortality and power as a consequence of assimilating to a divine being, Christ. 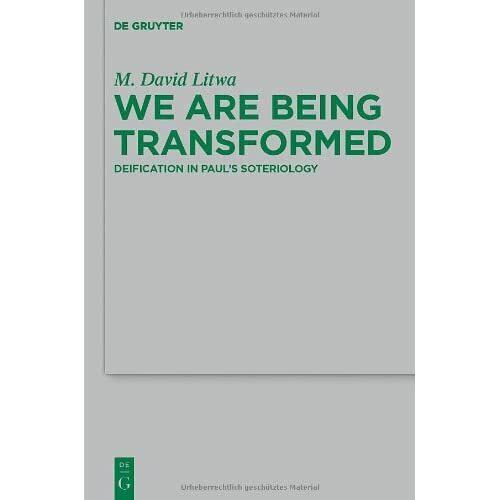 The introduction provides a history of research on deification in Paul from Adolf von Harnack to the present. The meaning of deification is rooted in the ancient significance of “god” (θεός). Thus in my first chapter I show how Greeks and Romans thought of godhood in terms of immortality and power. Jews in the Greco-Roman world, including Paul, agreed that these basic characteristics constituted divinity. Although the rhetoric of ancient Jewish apologists has misled scholars into thinking that Jews rejected deification across the board, chapter 3 shows that Jews in the Mediterranean world were open to their own saints and heroes sharing in divine power and immortality. The rest of this chapter (closing Part I of the study) fleshes out the roots of deification in Jewish thought (focusing on the image of God and the king as Yahweh’s viceregent and begotten “son of God”). Part III deals in-depth with potential objections to Pauline deification—namely, monotheism and the doctrine of creation. I argue that “monotheism” (a term of modern coinage) in Paul’s day amounted to a statement about God’s absolute power. It did not prohibit humans from sharing in God’s divine qualities. Similarly, creation in Paul’s day did not mean creatio ex nihilo and thus imply an absolute separation between God and the world. As the case of Christ shows, a human being could participate in divinity so as to truly enter into the category of god/divine being. My conclusion presents an argument for why the language of deification is useful for historically conceptualizing Paul’s vision of salvation. The theological language of “participation” (E. Sanders) is too vague, and “mysticism” (A. Schweitzer) too vacuous to understand the logic of Pauline assimilation to Christ. Deification offers a native historical category of perception by which to understand Paul’s vision of believers’ eschatological transformation as well as their present and future union with Christ.